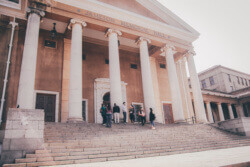 The UCT Director, Simon Harrison, and Ellen Hurst, Senior Lecturer in Education Development at the University of Cape Town discuss the role and importance of Academic English in Higher Education. Harrison believes that " it offers an opportunity to crystallise the relationship between transformation and internationalisation in a way that can support both South African and international students. It will allow the university to further its internationalisation and transformation agendas at the same time."